The unmanned rover features six cameras, lidar, and a simultaneous two-way radio communication system. 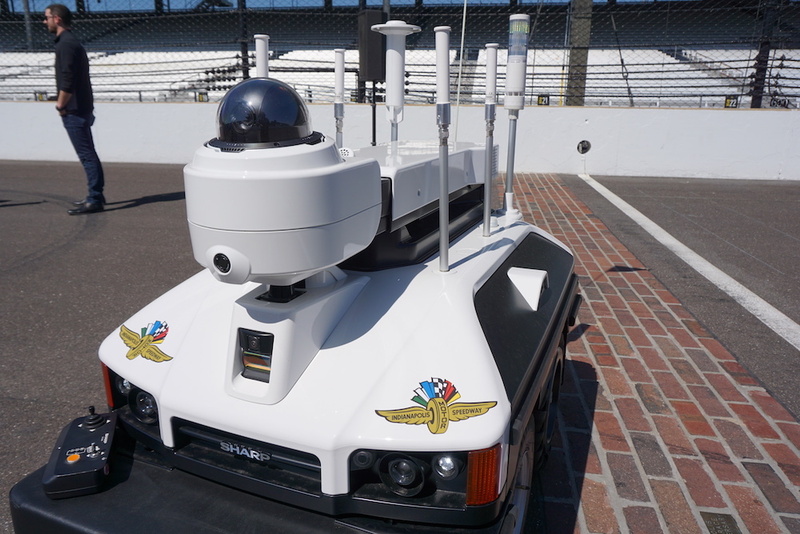 2016 Indy 500 winner Alexander Rossi pulled the wraps off the newest and fanciest security officer at the Indianapolis Motor Speedway: An unmanned security robot dubbed "Ross-E."
Rossi and Ross-E made an appearance at a press conference held on the venerable yard of bricks on Tuesday, where members of the Indianapolis Motor Speedway safety and security team, as well as the robot's manufacturer, Sharp, explained the important role that the interestingly cute robot plays at the massive facility. 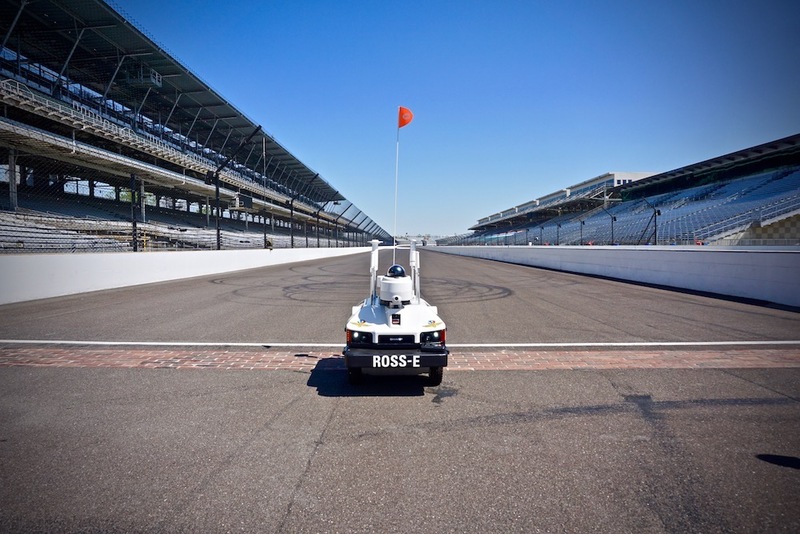 Ross-E will join "Indy 5PO," another Intellos Automated Unmanned Ground Vehicle (A-UGV) effective immediately. 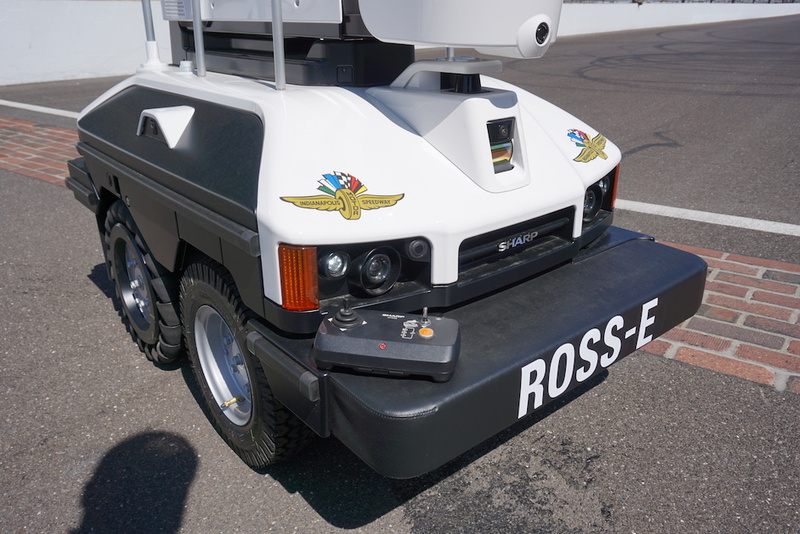 Ross-E is equipped with a high-tech lidar system similar to what's found in semi-autonomous vehicles, as well six different cameras, including one that can be raised up to six feet in the air, and a radio communications system that allows remote operators to interact in real-time with the field. 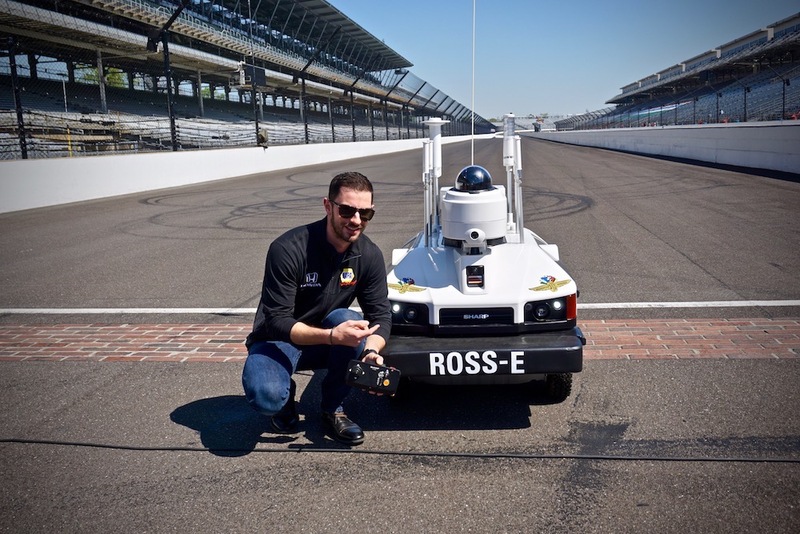 "Ross-E, much like Indy 5PO will be a year-round member of our security team," Michael Bates, Indianapolis Motor Speedway Director of Safety and Security told The Drive. "During races, it will be more of a stand-still visibility piece, so people will see it with all of its cameras deployed catching a glimpse of everything that's going on. 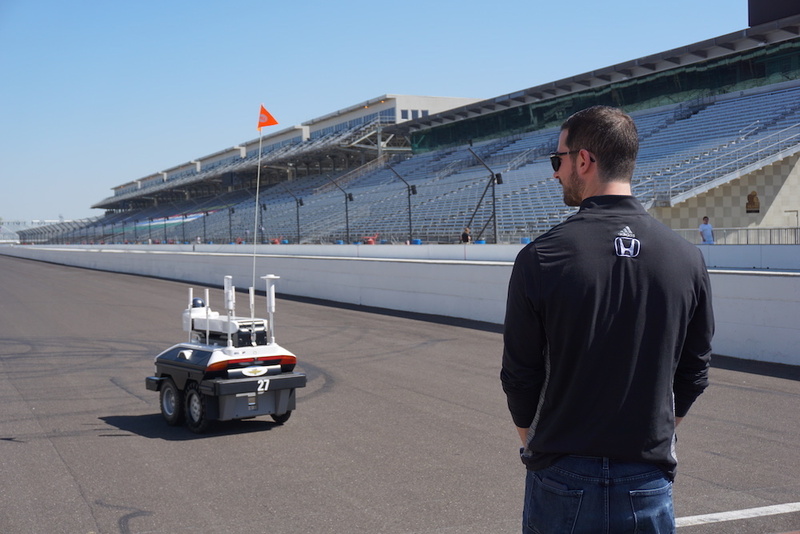 After hours, both Sharp robots are able to roam the grounds regardless of weather conditions at up to four miles per hour thanks to their specialty tires and lighting systems." 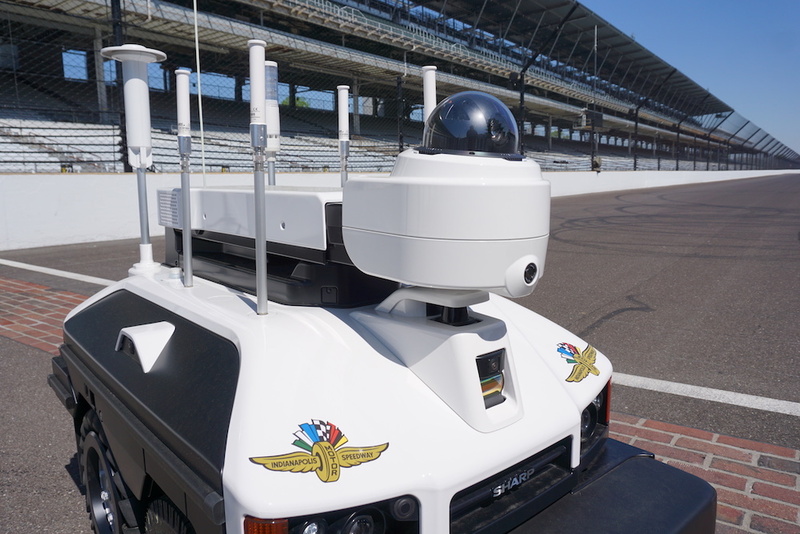 Despite manning hundreds of employees during all the events held at the Speedway, a little high-tech help goes a long way when crowds exceed 300,000 individuals. 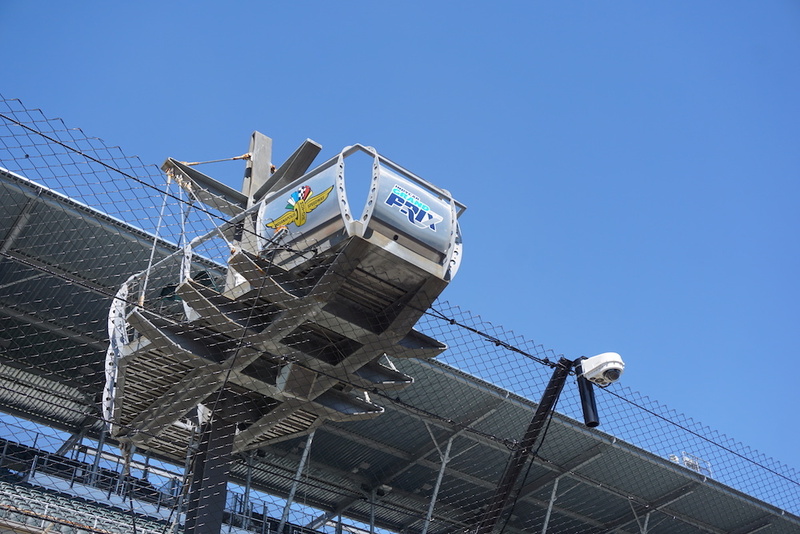 In fact, the Indy 500 is the largest sporting event in terms of attendance, with the 100th running of the race in 2016 reaching half a million attendees. Thankfully, Ross-E and Indy 5PO weigh around 400 pounds, so the chances of an inebriated race fan trying to take "Wall-E" home are pretty slim. 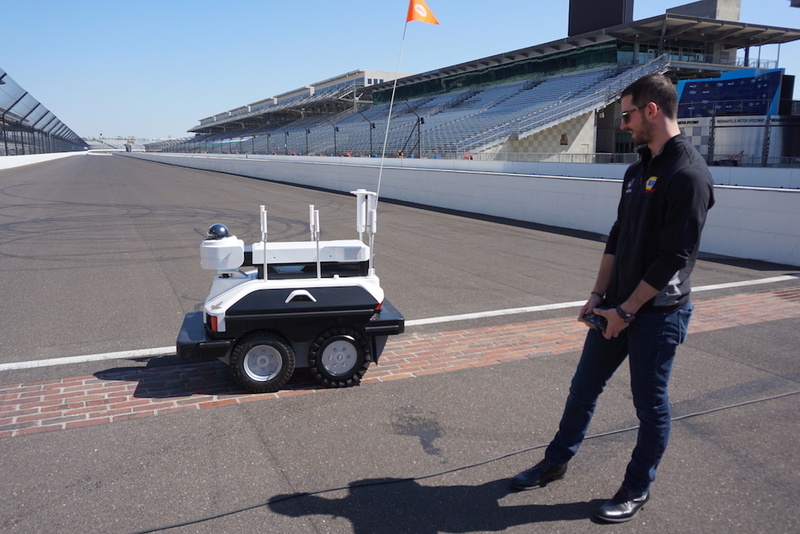 In typical racer fashion, Rossi commandeered Ross-E's controller and made it perform a few donuts on the yard of bricks before it went back to its charging station. Needless to say, Ross-E passed its test with flying colors. Patrick participated in a three-phase refresher course that restricts running speeds for safety reasons.